Pioneer Conference 2019 - " We Are Royal"
This ticket includes admission for both Friday and Saturday. A pack of tickets for you and two of your friends for admission to the Pioneer Conference on March 29-30 at the Lied Center in Lincoln, Nebraska. We can't wait to see you! Pioneer is a yearly conference formed by the women's ministry at Mercy City Church. Mercy City Church hosts a Friday night event called "Sisterhood" in which women from all around Lincoln gather for the purpose of building relationships and worshiping Jesus. We believe that it is a desire of every woman to build a community. This is what Pioneer is all about. It is about linking arms and joining together to move forward in this faith-filled life. We have some excited surprises planned and we are believing that this year’s conference will be a significant time of life change for all ladies who attend. From the messages, to the worship, to the times of community and relationship building, we are expecting God to move in big ways. So, no matter where you find yourself or the hand that life has dealt you, YOU are invited to join us! Matt & Carrie are church planters and the lead pastors of Mercy City Church in Lincoln, NE. 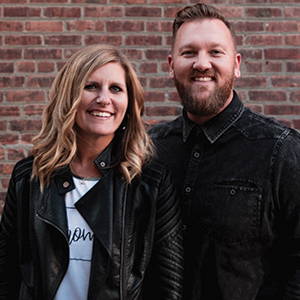 Matt and Carrie have heart for people and are passionate about seeing them connect to the heart of God and to the house of God. They has been married for 17 years and have 4 amazing kids. This couple shares a heart to gather women together to create an environment for them to meet with Jesus! They believe it is in God’s presence that a life can be changed! Carrie is the founder and host of the Pioneer Conference. A conference birthed out of the women’s ministry, Sisterhood LNK at Mercy City Church. Holly is an award-winning author, recovery ministry expert, and founder + CEO of Sanctuary Project, a community of advocates bringing hope and healing to survivors of trafficking, violence, and addiction. After working in worship and recovery ministry for Menlo Church in California and the American Church in Paris, Holly married her husband Jeff in 2016. They traded the cobblestones and croissants of Paris, for Towne Lake and tacos and now reside in Austin, Texas. 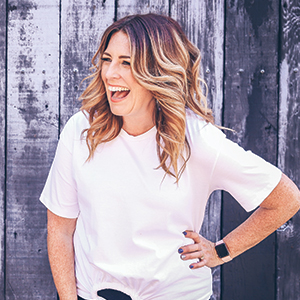 Holly has traveled the globe, sharing her radical story of salvation in safe houses, churches, conferences and recovery communities all over the world and was recently chosen as a new Voice for Women of Faith. Meghan is a dynamic and authentic communicator with Texas roots and a California heart! Meghan and her husband Carey pastor The Movement Church in Orange County. They’ve been in ministry for the past 17 years as youth pastors, associate and now senior pastors. Affectionately known on social media as “diva pastor” she promises she’s not really a diva! Meghan is a wife, mom to two beautiful girls, church planter, pastor, friend, aspiring author and big dreamer. Her greatest passion is helping women identify the God dream inside of them and awaken their greater purpose. She challenges women to recognize the multifaceted roles they have been given and step into the fullness of God’s plan for their lives. She helps to lead the She Leads team as a part of sherises.com. EVERYONE. ALWAYS. BELONGS. No matter your background or beliefs you will find people to connect to here.